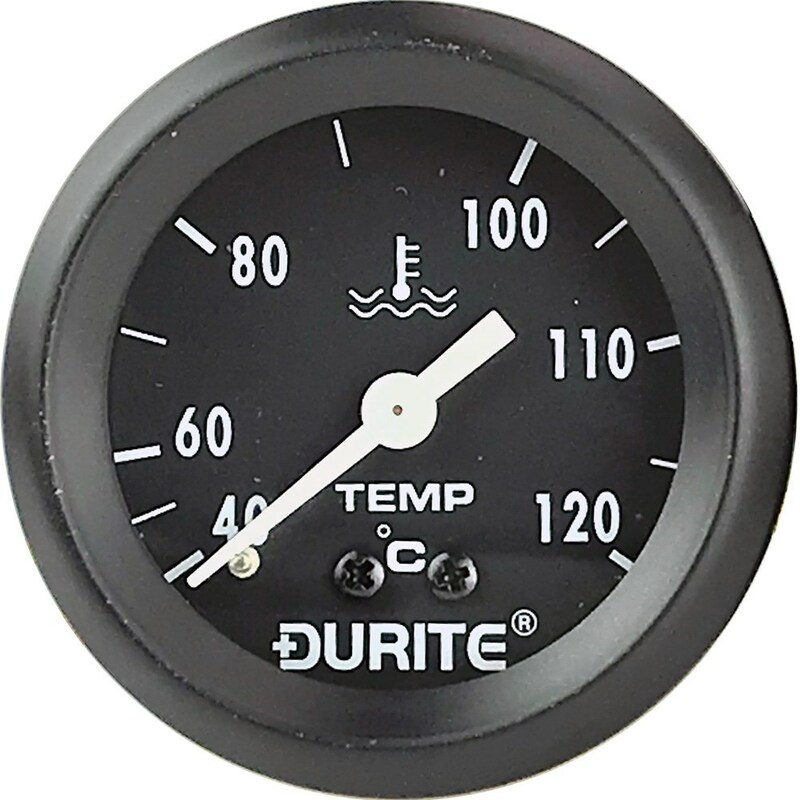 FULL SWEEP MECHANICAL WATER TEMPERATURE GAUGE. The twelve foot (3.6mtr) plastic covered, copper capillary is pre-fitted to the back of the gauge. It has a 5/8” UNF male union at the other end to clamp the probe into the engine. Illuminated display, with 12 and 24 volt bulbs.